Posted by preeta pillai in sewing-hand embroidery. This is not my first attempt at hand embroidery, but after my school days this is my first completed project. 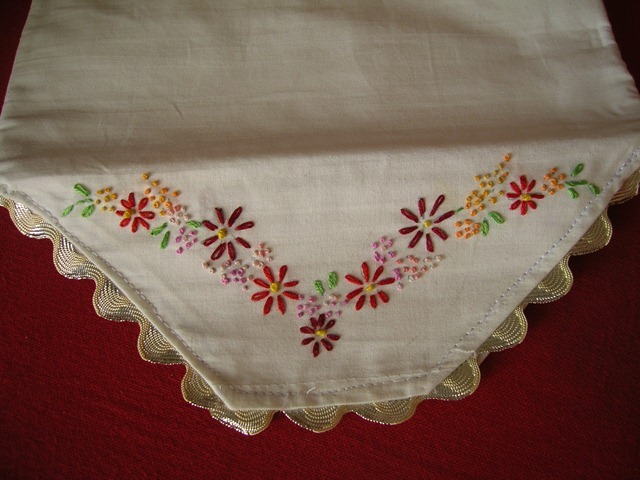 I always had a fascination for hand embroidery but I think the passion was not enough to take it up seriously. Now that I have started sewing, thanks to Nima and Mayya, I got inspired to start my hand embroidery again. 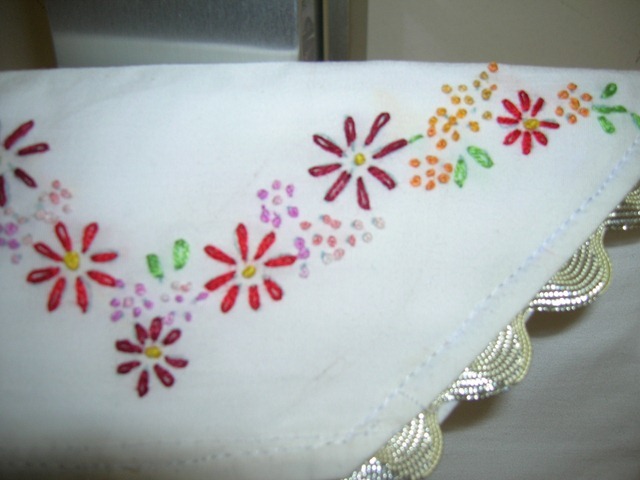 Once you embroider, you can make such small,easy and quick finishes. 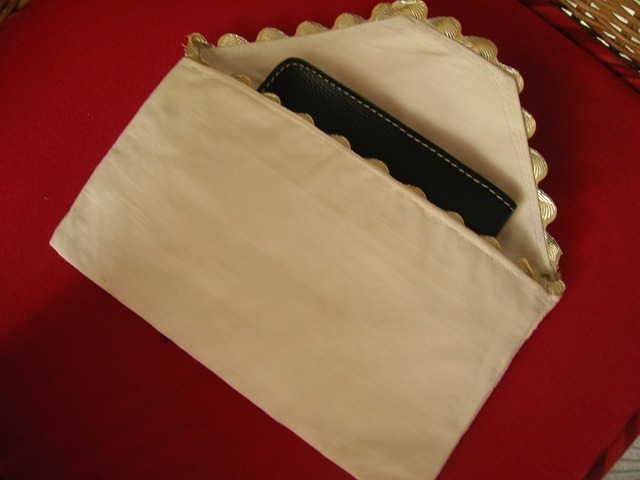 This is a small envelope shape pouch, which can be kept inside your purse. ( will look great with cloth bags). 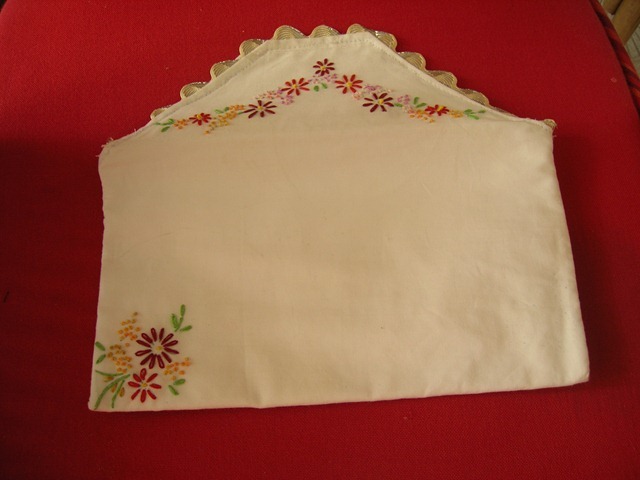 The pattern is from Grandma’s linen pouches by Joan Fee. I still haven’t attached a button to it, I am planning to attach a press button, which I don’t have at the moment with me. But I couldn’t wait to blog my finish. 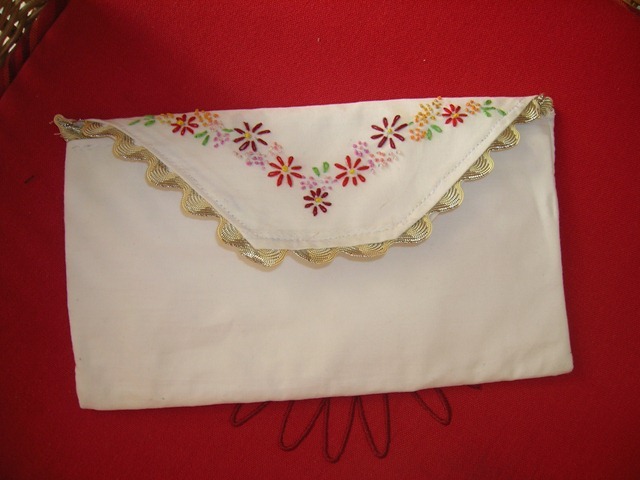 Next will be my Sew it feature from Mayya’s blog. This time its a car trash bag. I found it very interesting and practical. So I am going to make it soon. Thank you for all for your lovely comments and keep smiling. Until next time its Bye from Preeta.